This was probably one of our favorite days of the entire trip. We spent all of 24 hrs in La Paz, Bolivia, but we made sure to make the most of it. 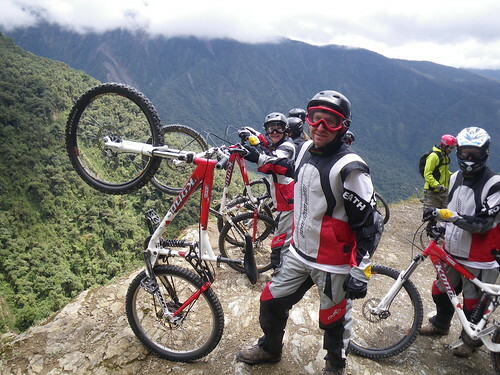 Our first priority was to mountain bike the “death road.” It was steep, the scenery was amazing and it was plain to see why the road is so dangerous. Fortunately no cars are allowed on it anymore, just bikes. In these outfits we ruled the road and survived.